It’s never too late to learn! Whether we’re new to Judaism or have been learning all of our lives, we all need to be inspired and to evolve in our beliefs and practices. Neveh Shalom offers opportunities to deepen our connections to each other, to our language, our texts, and our traditions. Come for a one-time lecture on the intersection of Science & Spirituality, or each week to learn Prayerbook or Modern Hebrew. Join a group for Women’s Torah Study or to learn the art of Storytelling. And let us know what’s not on our roster that you’d love to learn! Examine traditional and modern thinking about who or what God is. Bring your questions and ideas; together we’ll explore the mystery and complexity of our experiences and beliefs. Cost: $72 ($36 for CNS members). Taught by Rabbi David Kosak. RSVP to Tori or register online. All year: Oct 7, Nov 8, Dec, Jan 7, Feb 5, Mar 7, Apr 6, May 5, June 4, July 3, Aug 3, Sept 1. A time for women to gather and welcome the new Jewish month with community, reflection, and discussion. Hosted in member homes. Light nosh and drinks provided. RSVP to Rabbi Posen– there will be a google form for sign up each month. Cost: Free. Meets off-site. What do the fields of medicine, genetics, physics, aeronautics, and brain science offer to the fields of religious ideology, practice, and spiritual care—and vice versa? Monthly guest speakers probe the deepest questions that help us understand, truly, what it means to be human. No need to register. Click here for schedule. Mussar is “ethical behavior” steeped in Torah. Mussar helps to guide us in living a meaningful life through awareness and action. Delve into lively discussions on topics of how we live and relate to others, guided by the book Einstein and The Rabbi and instructor Laurie Fendel. Book provided with registration. Cost: $36. Register online. Educator and author Dorice Horenstein explores Jewish thought and practice, Hebrew language, and spiritual connection using her new book Moments of the Heart. Our lives are defined by four different types of relationships: with self, others, the Creator, and once-in-a-life time moments. $75 for 8 weeks. Register online. Ease into Hebrew beginning with Alef-Bet letter recognition, vowels, and decoding skills, and move on to build a basic vocabulary. This course (or its equivalent level of mastery) is a pre-requisite for all other Hebrew and synagogue skill classes, and acts as the first year of Machon Ivrit. Register online. For calendar and costs, click here. Year-long course in Modern Hebrew. This once-a-week program brings learners to higher levels of speaking, reading, and understanding. For calendar and costs, click here. Year-long course in Modern Hebrew. Our advanced level, “Conversational” is for those ready to expand Hebrew skills into the practical arena of real life. For calendar and costs, click here. Learn the Shabbat morning service like a pro! The course is divided into modules that last from 4-6 weeks. Each module focuses on a different part of the service. Taught by Itai Dewar. Course fee $50 per semester. Register online. Read and discuss this new book by Rabbi Harold Kushner, author of “When Bad things Happen to Good People.” Join with others as we read and discuss together this collection of thoughts about life and how to live it. Tuition is $36 and includes the book. This class will take on such fascinating topics as Judaism and Science, Judaism and Morality, Traditional Judaism Looks at Feminism and Homosexuality, Monotheism and Violence, and War and Peace, using 15 short pieces written by some of the most outstanding contemporary Jewish scholars. Cost is $36 with the book included. Register: receptionist@nevehshalom.org. 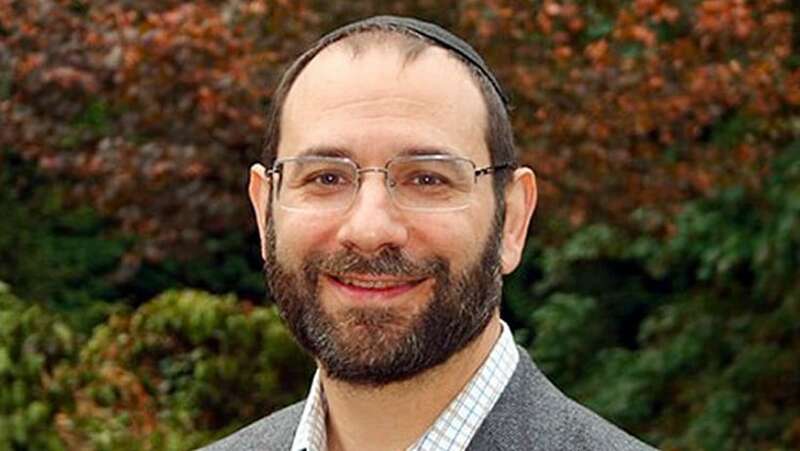 Rabbi Stampfer: “What’s so Good about the Good Book? You are able to join Rabbi Stampfer’s fall 2018-19 emeritus class online through our live-stream service. The class is using the book, Introduction to the Bible by Christina Hayes of Yale University. To view live online on Thursdays at 11:00am or watch past classes, please click here. *Registration for this class is closed, and we are not able to accept more in-person students. An uplifting hour of study on Shabbat! Delve into biblical and midrashic text, (Hebrew and English text available) with a group of other women to find meaning from our traditions that relate to our lives. All levels of experience welcome. Taught by Mel Berwin. Free. Weekly learning and discussion on a book in the Tanakh with Rabbi Emeritus, Daniel Isaak. Free. Drop-ins welcome. No need to register. Join our Emeritus Rabbi for weekly study of our sacred texts. Currently this class takes place at Rabbi Stampfer’s home. No cost to attend. Questions? Contact Tori. Each month we choose a book to read and discuss and then watch the related movie. Join us! Click here for more information. Read a book and come discuss together.Free. RSVP to Kaiya. Click here for more information. You are invited on a three month journey with Professional Jewish Storyteller Brian Rohr. You will learn the art and skill of performative storytelling, and techniques on how to discover your own unique storytelling voice. We will end with a public performance for family and friends. Questions? Please contact: brohr@nevehshalom.org. CNS members $150, Non-members $200. Register Online. For those who did not have the opportunity to celebrate a bar/bat mitzvah at age 13 or hope to “update” that experience by celebrating as an adult. Join a cohort and learn together with a supportive teacher and community. For more information, please contact Deb Freedberg. Work on meeting your goals and get one-on-one coaching with Deb Freedberg. Set up a few sessions or a full semester working towards a special event. For more information, please contact Deb Freedberg.